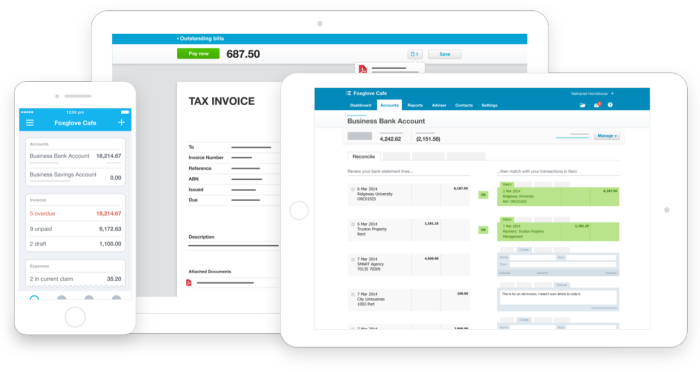 Transactions and financial data are uploaded from your Dnister Everyday Access Accounts, Savings Accounts, Loans and Term Deposits which feed directly into your Xero business accounting software – and it happens automatically, so your records are up to date without the need for manual entry. Transaction Feeds are uploaded from Dnister to Xero automatically at around 9:00 AM each day. If you would like to take advantage of Xero Transaction Feeds you will need to complete the application form and return it to Xero for processing. Typical set-up time for the feed is around 10 business days. Download the application form, complete and return to Xero. Please note, this form must be returned to Xero directly for processing. Real-time view of your cashflow – Log in online anytime, anywhere on your Mac, PC, tablet or phone to get a real-time view of your cashflow. It’s small business accounting software that’s simple and smart. Pay your employees – With payroll and accounting as one, it’s easy to process your payroll and pay superannuation. Your payroll information is automatically updated into the general ledger. Streamline payroll – Pay super contributions for your employees with the click of a button. File employee tax file number declarations and your payment summary annual report direct to the ATO from payroll. Easy invoicing – Create professional recurring invoices and receive updates when they’re opened. Invoice Reminders – Get paid easier with Invoice Reminders. Automatically prompt customers an invoice is due and remind customers if invoices are overdue. Quotes – Create and manage quotes and easily turn them into invoices when the work is done. Online accounting – Log in online any time and see up-to-date business financials – from anywhere. Dashboard – See all your bank balances, invoices, bills and expense claims at a glance and add new transactions with a click. Inventory – Inventory items speed up invoicing while tracking sales and purchases. Automatic bank reconciliation – Xero imports and categorises your latest bank transactions. Simply click OK to reconcile. Smart reports – View and share interactive reports and budgets in real-time – no waiting until the end of the month. Claim those expenses – Handle personal expenses – just review and approve receipts. Take a photo of receipts from your mobile and it’s saved online. Enter bills – Manage your cashflow by scheduling payments and batch paying suppliers. Go mobile – Use Xero’s mobile apps to manage your business while you’re on the move. Reconcile, send invoices and create expense claims – from anywhere. Paperless leave requests and payslips – The Xero Me app makes it simple for employees to apply for leave and view their pay history – all from their mobile. Managers can view and approve or decline leave requests right in the app.